The SR50 Link Chain Scraper nozzle is the perfect nozzle for cutting tree roots, rust scale and heavy blockages from 100mm pipe. 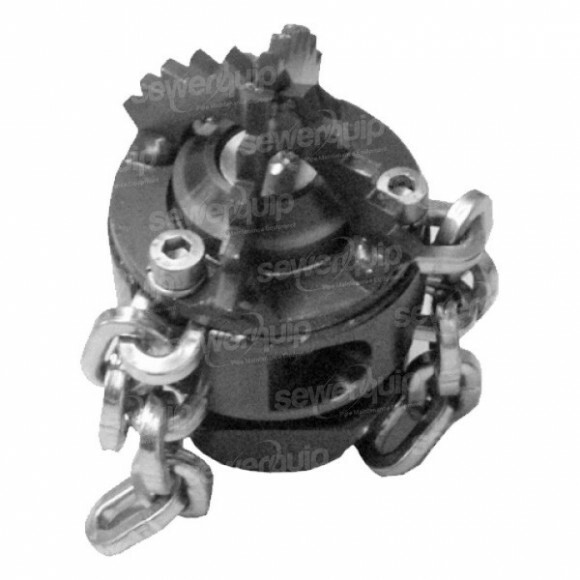 Supplied with centre cutter and link chain. Made in Germany.